Smart choice! Because Toyota vehicles are built to such a high standard, many of our guests choose to buy their leased vehicle after the lease term ends. After all, you maintained and drove the vehicle, so you know exactly what you’re buying, at a significant discount off the original MSRP. Our Internet Department can assist you with this and explore any other options that might benefit you. They can be reached at (804) 693-2100 or sales@gloucestertoyota.com. Great! Let’s get back that new car smell, and enjoy the latest safety technology, features, and creature comforts that make new Toyota vehicles so special. 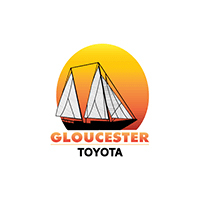 Gloucester Toyota Scion has a great selection of new and pre-owned vehicles to meet everyone’s needs. For the most current information and guidance that might benefit you, please contact our Internet Department at (804) 693-2100 or ask for the Internet Department. If you simply want to turn in your leased vehicle, we can help you with that also. All you need to do is schedule a turn-in appointment. Give us a call at (804) 693-2100 and ask for our Internet Department. When you come in be sure to bring all your keys, Owner’s Manuals, and original equipment to your appointment. Please turn-in your leased vehicles to the address below. Please be advised that the some leasing Banks will charge you a Lease Termination Fee (Toyota Financial will not). You may also be charged for excess mileage above your contracted terms and/or any excessive wear and tear. Any such charges are not levied by Gloucester Toyota Scion, but rather by the leasing Bank. We are here to help you! Please contact Anne Earman in our Internet Department with questions: (804) 693-2100 or sales@gloucestertoyota.com.